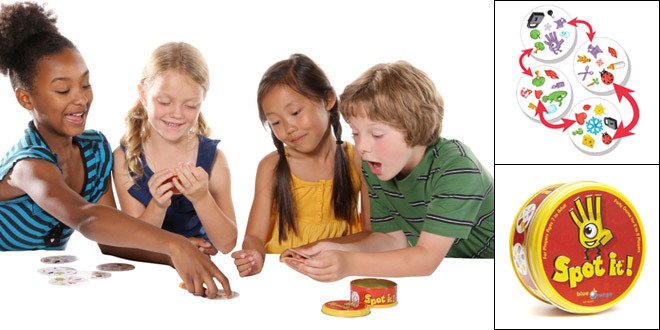 Board games are one of the best ways to spend time with friends and family or to get to know new people at a party. With this in mind, we have selected the top 5 board games that are easy to learn so that you can start having fun and avoid all those awkward silences! Each round, one player takes a black card and asks a question. Everyone else answers with their funniest white card. The player who asked the question chooses the best white card and the black card (point) goes to that player. This is basically an adult version of Apples to Apples. Pros: Funny, awkward, fast setup. Cons: Not for kids or easily offended adults, cards’ shock value wears off (although there are expansion cards available). 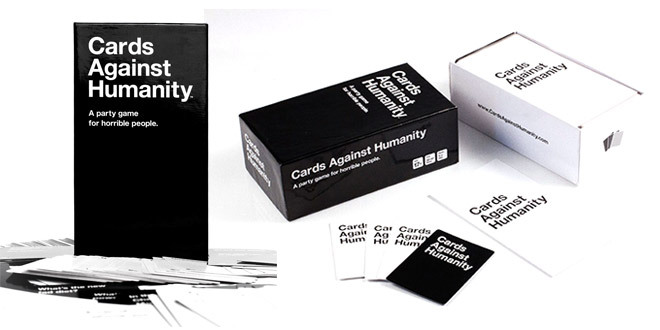 Click here to read more reviews and buy Cards Against Humanity. In this game, players take turns removing one block at a time from a tower constructed of 54 blocks. Each block removed is then placed on top, creating a taller and less stable tower. Pros: Can be one person vs. another or a group vs. another group, no language barrier. Cons: Longer setup than card games. 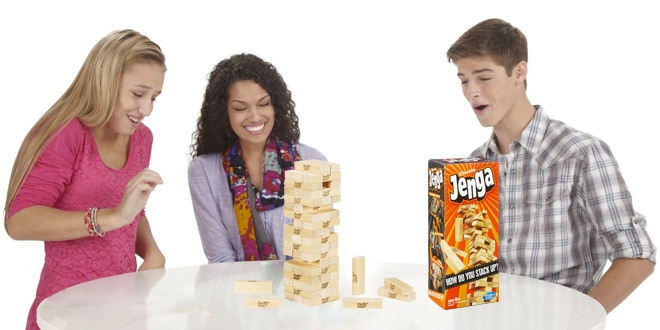 Click here to read more reviews and buy Jenga. Each of the 52 cards has eight (out of 50) symbols varying in size and orientation. The aim of the game is to be the first to call out the one symbol in common between two or more cards. There is only one match between any two cards. Pros: Great game for all ages, no language barrier. Cons: All symbols are not easily recognizable, but that is part of the fun in calling it out. Click here to read more reviews and buy Spot It. Seven cards are dealt out to each player, with the purpose of matching the card on the discard pile with one from the player’s hand. There are also wild cards that vary from changing the color, making the next person draw cards, skip the next person or reverse the playing turn. If there is no matching card to play, the player must draw from the deck. Pros: Great game for all ages. Cons: Card quality may vary depending on the version you buy. 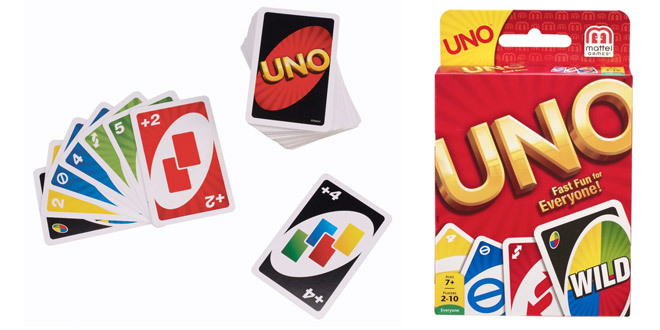 Click here to read more reviews and buy Uno Card Game. The objective of the game is to get rid of all your tiles by forming runs of 3 tiles or more, either by same color sequences or by same numbers and different colors. This resembles the playing card game. Type: Matching, strategy, organizing skills. Pros: Requires you to think and rely less in luck. Cons: If you like shorter games, this one can take a bit longer compared to others. 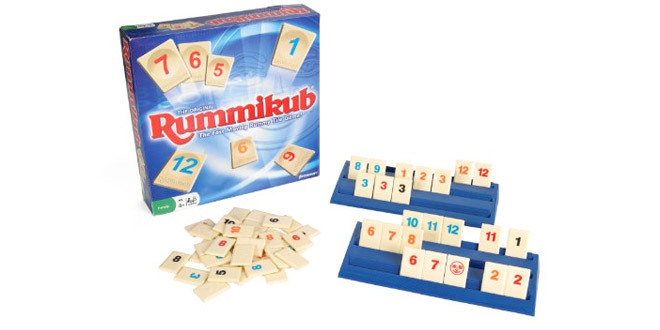 Click here to read more reviews and buy Rummikub. The board games chosen on this top board game list were chosen based on the amount of setup, understanding of the rules and how easy they are to play, with the purpose of getting people who have never played board games before to try them out.